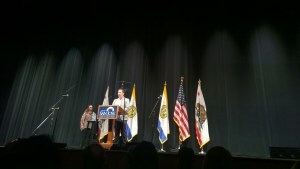 Our fearless Santa Clara County Poet Laureate, David Perez, wrote a beautiful and exciting poem for the city of San Jose. 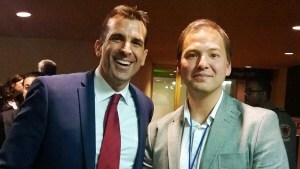 Last night he read it at the inauguration of San Jose’s new mayor, Sam Liccardo. Read it and be amazed. Read it and join in the celebration of civilization by great poets. What a tradition! Last night I read this poem at Mayor Sam Liccardo’s Inauguration and in so doing shared the stage with Aztec dancers, Spanish guitarists, Christian ministers, Buddhist monks and wonderful host Tamara Alvarado. Thanks to Mayor Liccardo and to all who were present. Here’s the poem! And stay tuned later this month for more laureate news and upcoming events!